Help our medical camp stay open. Rohingya refugees need your help today. Your donation will be used to help support the medical camp which will provide healthcare to vulnerable Rohingya refugees. 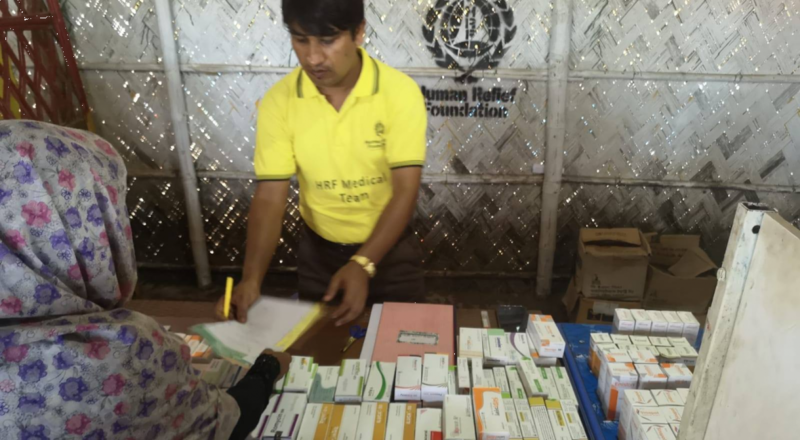 Your donation will help the medical camp serve Rohingya refugees for one month, including the distribution of prescriptions and life-saving treatments. The camp will run six times a week and serve over 200 people in one day. 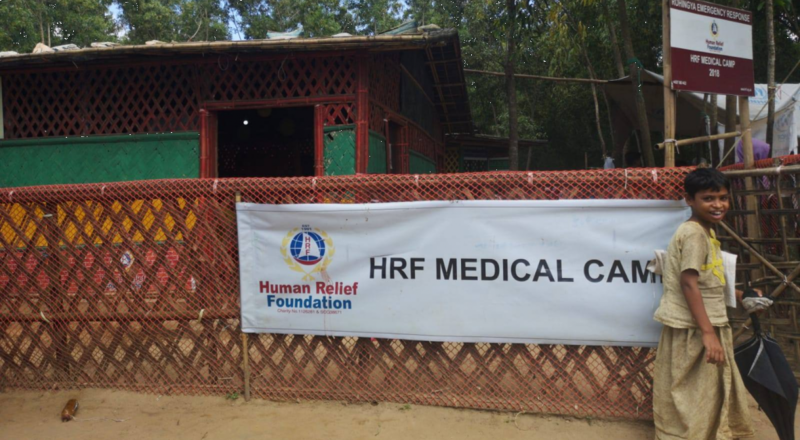 The Human Relief Foundation (HRF) medical camp has been running since September 2017. It operates six times a week, serving over 220 people a day. However, the team is now finding it difficult to maintain it due to funds. It is at risk of closing. 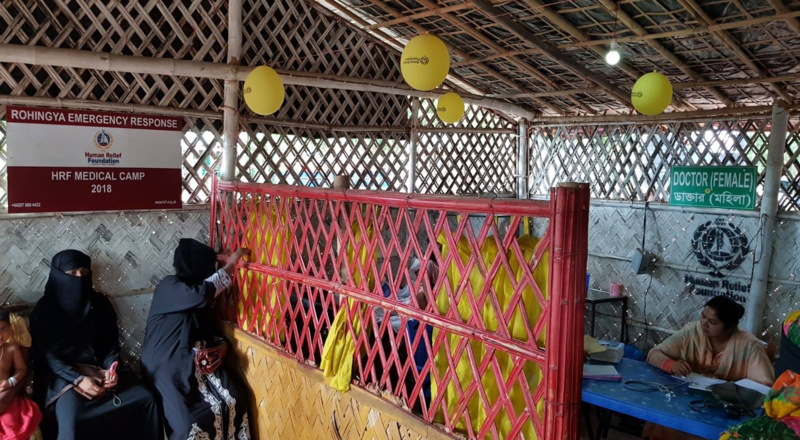 This clinic has been a lifeline to hundreds of Rohingya refugees including women and children operating six times a week treating illnesses in their early stages to prevent serious outcomes and even death. 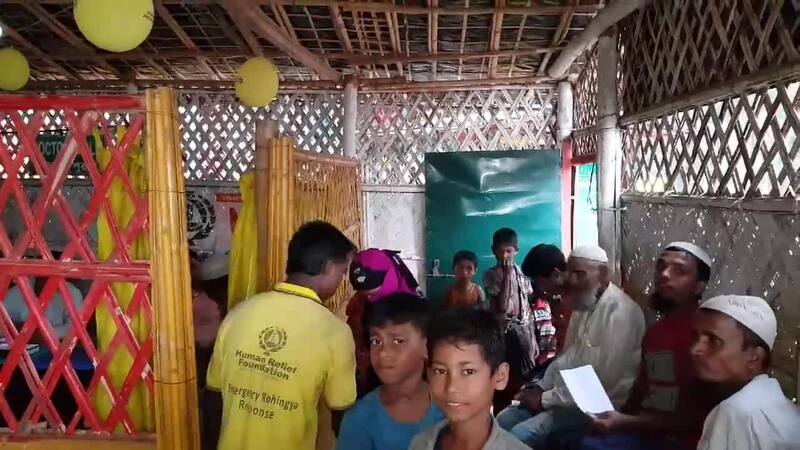 Rohingya refugees are living in conditions with extremely poor hygiene and limited water supply, disease and illness spread quick, with a range of outbreaks such as cholera, diphtheria and skin infections. With more and more refugees arriving into the camp, the camp is a necessity. Our doctors and nurses offer free check-ups and provide free medication and prescriptions. They treat a range of health issues such as bronchitis, conjunctivitis and skin lesions, with severe cases being referred to partnering health organisations at no cost to the patient. We need your support to save lives. Give today. You may prefer to make a donation by calling our donation hotline on 0207 060 4422.